Hear personal accounts from fans about their favorite Derby memories and horses. Dream of your ultimate Derby hat when viewing the winners of our annual hat contest. Fabulous Derby attires from celebrities Monte Durham, Jill Baffert, Camille Anderson, Steve Wilson, JD Shelburne, and Robin Meade are on display that share the fun of fashion. The "It's My Derby" fashion exhibit, where we take entries from both professionals and amateurs to enter their hats for inclusion in the exhibit, has stopped taking entries for the 2018 hat contest. 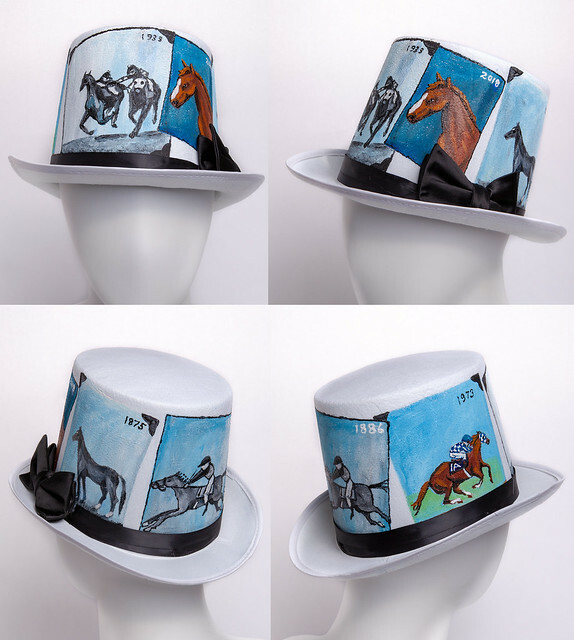 The annual hat contest is a signature element of the exhibition which strives to capture the spirit associated with the landmark sport and cultural event that is the Kentucky Derby. Winners will be announced soon.